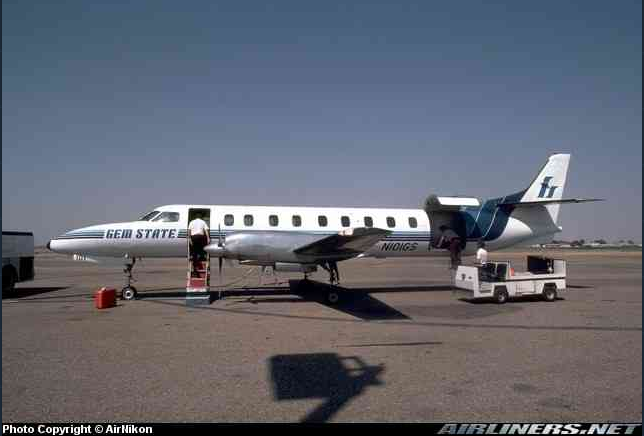 Gem State Airlines was a United States airline founded in 1978 in Coeur d'Alene, Idaho. It carried passengers for 11 months, from December 1978 to November 1979, and merged in January 1980 with Air Pacific to become Golden Gate Airlines. Its founder was Thomas D. "Tom" Soumas. Jr. (b. 1953) of Coeur d'Alene and the primary investor was Justin S. Colin (1924–2012), a New York financier.